My fiance and I are keen to try fencing and came across your website. I was wondering if there is still space on your beginers course and if so how we register. 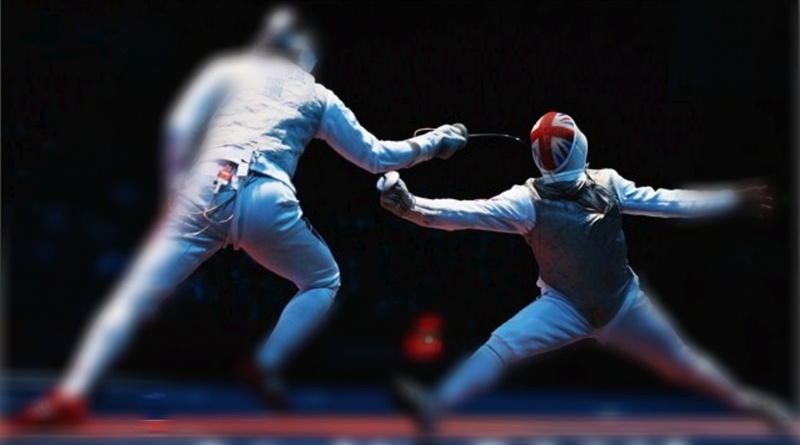 My partner would like to try fencing – is it possible for him to attend a trial class to see if he really likes it before signing up for the 8 week programme? It is his birthday at the end of the month and I would like to book asap. Hi Lizzy, Yes! if your partner and yourself would like to come down to the club any Wednesday before the next beginners course we can introduce you to the sport and the club. Hi Adam thanks very much for your reply. We will definately come down before 21st September. Many thanks again. Hi, my 14 year old daughter is interested in the beginners fencing course, could you let me know when the next one will start? Thanks. Hi Tina, our next beginners course starts on Wednesday 25th January, as you may have seen, this runs from 8:30pm till 10:00pm. If this is too late, our Junior session runs from 7:00pm till 8:30pm, It might be better if she attends this session. If you come down next week at 7:00pm next week, we can sort out what would be best. Apologies but the 25th clashed with a re-arranged Piano lesson, may we come on 1 Feb for the early session? Thanks. Am interested in the beginners 8 week course,does this start on Friday 21st September? Also do you need to bring a partner? Finally would be away on holiday for one week of the course, is that a problem? We are currently taking a more flexible approach to beginners and beginners are able to attend the club at any time. It works best if you are able to bring a partner to work with. You should come at 7:00pm and we can take it from there. Will see who I can bring along,do I have to wait until September or do you been to start now? Hi Helen, coming to the club at 7:00 on any Wednesday will be fine. My two sons aged 10 and 13 would like to try fencing. Can I just bring them to any junior session or is there a course start date I need to know? Yes, if you come down for 7:00pm and we can start from there. my daughter grace, has all of a sudden got the urge to try fencing. She is 9 years old. Could you let me know how I could get her involved. If you would both like to come down at 7.oopm on any Wednesday, we can take it from there. Hi, Will you be running a beginners course this september. My partner and I are interested in giving it a go! We don’t have a course planned at the moment. But we do have a list of people interested so I will add your name to the list and let you know when a future course is organised. As you have probably heard before the Olympic’s have achieved its goals and inspired me to get back into sport and fitness after a far too long hiatus. Fencing really interests me and would love to get involved. Do I need to wait for a beginner course or are there other options? Impatiently waiting to learn the ropes haha. Whilst we don’t have any beginners courses planed just at the moment, we do have a list of those wanting do do a course so we will probably get one going in the near future. I will add your name to the list. In the meantime, in addition to Sheffield Buccaneers website, you might find my website at http://www.adamblight-fencing.com and my Youtube channel at http://www.youtube/user/adamblight of interest. I am just registering my interest in a beginners course, I have always been interested in it having done it as a child on holiday but haven’t had the time until having graduated University and having a job to pay for it! Nothing to do with the Olympics either, I just watched the Duellists again and it reminded me! Love the film The Duellists. I will let you have details of our next course. I’ve read through the recent comments and if you are putting a list together of people interested in a beginners course please add my name to list as well! Inspired by Olympics in general to take up a sport and fencing seems really cool. Could you tell me when the next beginners course is please? Could you tell me when the next beginner course is please? Our next beginners course will start on Wednesday 26th September. You will find a link to the form for the course on the Fencing Beginners section of the website. Your son (and any of his friends from school fencing) will be very welcome to come down to our club and join in. He can do one of our courses or join in with the general club training. Our next course begins next week on Wednesday 6th March. When does your next beginners course start. If you can let me know I’ll be very grateful. There will be a bit of a break before our next beginners course, this will start on Wednesday September 17th. Hi Adam, I have an 8 year old son who would like to learn fencing. Are the next Junior beginner classes starting in September too? Junior fencers are able to start straight away and join our junior group, if you bring your son down on any Wednesday he will be able to join in. our next beginners course will start in September, details will go on our website and also, I will make sure you get the information. I have been fencing before with the Sheffield Sword Club and unfortunately I had to stop. I would like to come back to fencing but join your club. Would I need to join the beginners course or not and please could I have some details about when the courses will start. If you have fenced before you will not need to attend a beginners course unless you want to refresh your skills this way. You are welcome to come down on any Wednesday and pay us a visit. Our club is predominantly foil and I don’t know if it was foil that you did before. My 15 yr old daughter is interested in the beginners course in fencing. Could you tell me when the next course is. We are planning a beginners course for the near future but we haven’t got a date yet, it will probably be on Mondays at our other venue Mount St Mary’s College. looking at taking a beginners course and might also have 3 kids who are all interested, between the ages of 11 and 13. Any ideas when the next course will run? Our next beginners course will be in September. Detail and dates will be determined in due course. Hello! I’m moving to Sheffield in mid-October and am really keen to start fencing. I am unable to make the 21st September and was wondering when the next beginners course after that will be? Thanks! I would expect our next course to be in January. However, if you can’t make the first week but can make the others we can work around this and make sure that you don’t miss out. Hello, how old do the beginners have to be before they can do an junior introduction lesson? generally are would be looking at 8 as a minimum age. Hello. What’s the price of join in the begging lessons. And when will you have new lessons. Hi Sam, we will be doing a beginners course in about a month, the start date is not sorted yet, when it is it will go up on our website. Hello, has the next beginner course been arranged yet or have I missed it? Next one will be in September, as yet we don’t have dates or other details.